The course I play on a regular basis does not have a driving range. There is a reasonable chipping and putting green and a driving net. Of course this is not the best scenario for preparing to play golf, but I have developed my own routine make the best of the situation. I use my system when preparing for tournaments and most rounds. 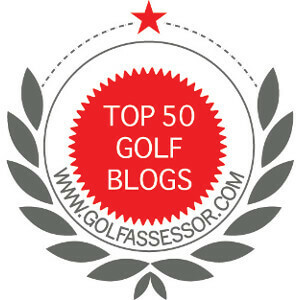 The reason for today’s article stems from a suggestion from Brian Penn from All About Golf. He understands my situation of no driving range and asked what I do to prepare for playing golf. Driving nets serve its purpose. Overall, my routine takes about 30 minutes. Because I do not have a range, I use other methods to warm up my muscles and preparing my swing for 18 holes. I generally stretch at home before taking the 15 minute drive to the course. First, I chip and putt for 15 minutes. I start with 10 mins of chipping using all three of my wedges, then I putt for 5 minutes. Depending on how I have been putting over the past few rounds, I might putt for 10 minutes. Usually, I have a feel for my short game after 15 minutes and it is time to get my swing ready. Next, I grab my 4, 5 and 6 iron and swing them all together. This routine stretches my muscles without taxing them and allows me to move my lower body with the extra weight of 3 clubs. Then I place a weighted donut on my 5 iron and swing that about 20 times. I focus on my lower body weight shift extending my muscles further than with the 3 clubs. Next I swing my 5 iron freely about 20 times focusing on coordinating all the my swing movements. I also try to extend the top of my back swing to ensure my back has the opportunity stretch with no added weight. Finally, I head to the hitting net and hit about 10 balls with my 7 iron. It is my best club and helps me groove my swing for the day. I do plan to make one change and to hit my driver and visualize the first hole. Brian suggested that awhile back and I think it is a great idea. There you have it; after 30 minutes, I am prepared for 18 holes of golf. Of course some of the timings and number of swings can be modified on the fly, but you get my point about the process. Not having a driving range is a detractor for sure, but with my warm up I am usually ready to play golf. Jim, I like your warm-up because it is thorough and efficient and involves some contact with the golf ball. I have one course I play at every year that doesn’t have a range or a net. I too do short game first but reserve about 6-10 balls for bunker shots. The bunker shots allow me to make a full swing (as hard as I want) and get my body used to the contact of a real shot. Then on the first tee, I’ll try and make the slowest fullest swing possible to ensure my lower body leads and my timing is good. Works most of the time. Years ago I read something that I have used ever since to good advantage. If I can’t get in a proper warm up before teeing off, I take the time to swing whatever club I plan on using, usually the driver, at least 15 times before stepping into the teebox. Hitting the fairway on the 1st tee has been something I haven’t had to worry about much since then. I will still miss one on occasion, but it’s rare. I went out a day early and played the same course as last week so again, no warm up and just two hours to get the round in. The first tee isn’t reachable for me with a driver, but I usually use it. Today I chose a 3 iron instead to get myself on the 100 yard mark for a more comfortable approach because the tees were forward and and even stronger breeze than last week at 30 mph gusts. So I swung that 3 iron 15 times and then tee’d it up and sent one right down the middle. I mishit it just a bit and came up about 15 yards short of where I knew I could reach, but that was nothing to worry about. I did fantastic until the last few holes. I was one under after 14. But I was stuck behind others and a single caught up so I had him join me and I fell apart on some of the easiest holes and ended up 3 over. arghh. I doubled an easy mini dogleg left par four that I had driven the distance but a bit wide right across the cart path into the rough behind some trees. Pretty much the same place I played the hole from from last week and took my par. Then I went bogey, par, bogey. I swear it was all in my head. I totally blew two easy chips on 15 one chunked and the next bladed, wrapped a short putt on 16, and hit my approach short from the center of the fairway on 18, chipped to 8 feet and missed it. Looking at the 3 over score, I’m happy, but I could kick myself for coming out of my game. I hate loosing my game in the last few holes. Especially if I am playing really well. There is no reason for the mental error, but sometimes it is unavoidable. I guess if it was we might be playing golf for a living.